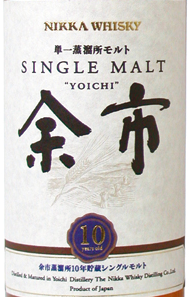 One of the entry level Yoichi bottles aside from the No Age Statement one. Bottled at a solid 45% vol. Comment: Suprisingly complex for a ten year old. Also very rich in flaovor. This is very good value.